Cru is a student-started/student-led group, but we are way more than just a ‘club’ at school. We want Cru to be a ‘movement’ of students who positively impact Noblesville with God’s love! 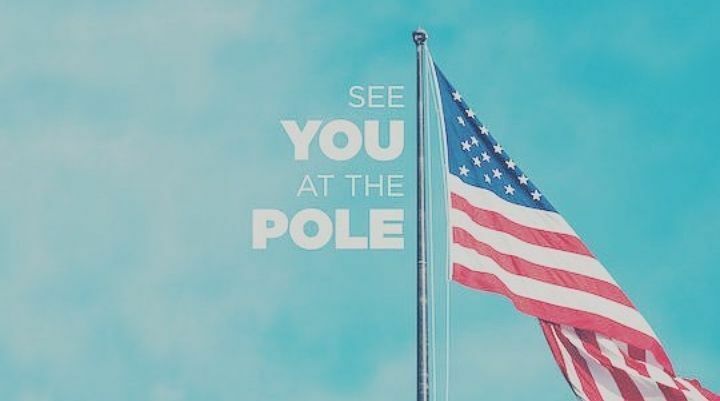 SEE YOU AT THE POLE day is on Wednesday, September 26, at 7:00 a.m. local time. All around the globe, in every time zone, students will be gathering at their flagpoles, praying for their school, friends, families, churches, and communities. SEE YOU THERE!! Cru meets Monday Nights at 6:46 pm in the Jr. Sr. Cafeteria- enter through Gate 4 (look for the cool Cru signs). follow our Twitter @CruNoblesville or Instagram @crunoblesville for updates on our events. Noblesville High School: Weekly Meeting is every Monday night at 6:46 pm in the Jr. Sr. Cafeteria. Noblesville East Middle School:Weekly Meeting is every Monday afternoon directly after school at 2:50 in room 1147 (Mrs. Melton’s Art Room). Hamilton Heights: Coming Soon- Praying for volunteers to help launch this ministry. This lively group of students meet each Monday afternoon immediately after school from 2:50-4:00 for an afternoon of connecting with one another. Each meeting will have great snacks, fun and interaction with the Lord and their peers.